It's finally here! Episode 2 of the Zero Pwnage Podcast. In this weeks episode we talk about the announcement of Resident Evil 6, two new maps for Modern Warfare 3 and the new releases for the month of February. 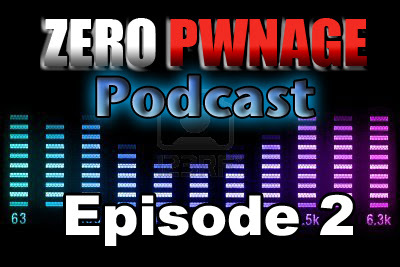 We also bring to you our newest segment the ZP Rumor Mill. Like the name change to the Wii U, Xbox 720 rumors and the possibility of a new Ninja Turtles game from Rocksteady! Click over on the Podcast tab to listen and download. As far as I know, it'll just be on the 360 and PS3. Maybe the Wii will get it's own version a little later.